As 2018 comes to a close, here is a short selection of some of our proudest accomplishments of the past year. The Outreach Network for Gene Drive Research was created and launched this year with Emerging as its Secretariat. The network supports coordination among members, information sharing, and engagement with key stakeholders, in order to raise awareness of the value of gene drive research for the public good and of the need for continuous efforts in its advancement. Their work this year focused on engagement in the policy process for the Convention for Biological Diversity, which met for the 14th Conference of the Parties (COP14) in Egypt in November. An open letter was published ahead of the convention to discuss how research on gene drive technology can benefit environmental conservation and public health goals. Take a look at their website for more information on the work they do. Our collaboration with the Target Malaria project is growing strong and we’re excited to be helping a group tackling such an important issue. This year we’ve supported the creation of new communication tools that support learning and understanding of the project. 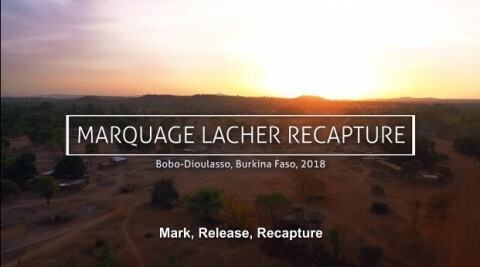 These include; development of infographics, factsheets, as well as a series of videos, such as one made to describe the mark, release and recapture process as it collects information on mosquito vectors in Burkina Faso. 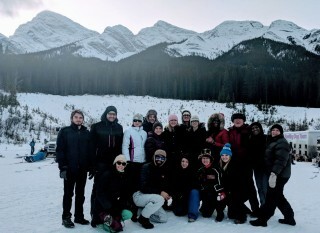 The Emerging team gathered in Calgary, Alberta, for their annual winter team retreat. Together we were able to review our work, and had time to enjoy the Canadian snow! Last month, I had the opportunity to speak at the North American Tea Conference in Niagara Falls, Ontario. Global Campaigning on Global Goals: At a time when tea is benefitting from social and health trends, it is timely to make sure your promise lives up to modern expectations. The Global Goals agreed by the United Nations, known at the Sustainable Development Goals, apply to all countries–developed and developing–and provide the basis for social license to operate. The Sustainable Development Goals are the key lines currently shaping the global development agenda. As such, they are responsible for both directing and informing internationally significant ongoing trends and perspectives with regards to socio-economic and ethical issues, the environment, and human health. They have been agreed upon by the United Nations, and apply to all countries, developed and developing alike. Aligning values and practices with the 2030 Agenda is therefore crucial for any business seeking to make a positive contribution to the well being of the planet, and the people who inhabit it. This is doubly important in sectors comprising world spanning networks of trade, information, and investment, such as the tea industry. The vast and internationally interconnected nature of their supply chains creates enormous potential for progressive policies to generate exceptional achievements in combating poverty and myriad forms of deprivation. Goal 1 “no poverty”. The tea community has an important role to play in ensuring that all men and women, in particular the poor and the vulnerable, have equal rights to economic resources and access to basic services. They can do this by empowering youth and smallholder farmers, and ensuring that wages and working conditions for all of those implicated in their supply chains provide a standard of living above global poverty thresholds. Goal 2 “zero hunger”. In an increasingly hungry world, improving the sustainability of supply chains, investing in agronomics, and diverting surplus that would otherwise end up as food waste to food banks can make a big difference. Goal 5 “gender equality”. Tea companies must put in place gender inclusion programs, and guarantee that women in their supply chains benefit from security, social protection services, and the possibility of maternity leave. Goal 6 “clean water and sanitation”. Businesses must seek to make their water use as efficient as possible, and crack down on wastage. Goal 8 “decent work and economic growth”. This will only be achievable through scaling-up sustainable supply chains, including processing and packaging activities, and ensuring that appropriate labor standards are enforced throughout. Goal 12 “responsible production and consumption”. This will entail businesses cutting down on food loss and waste at every stage of their supply chains, and investigating the life cycle of the packaging they employ, to make them as environmentally sustainable as possible. Goal 13 “climate action”. Mitigating the impacts of climate change is a moral imperative, meaning that tea industry leaders must explore practices such as carbon off-setting and climate-smart agriculture, to attempt to reduce as much as possible their greenhouse gas footprints. Goal 15 “life on land”. Around 1.6 billion people currently depend on forests for their livelihoods. More sustainable forestry practices must be a key component of tea industry operations going forward, given that the tea drying process can use as much as the output of one hectare of timber to dry the output of three hectares of tea, and that tea plantations are often located in or around biodiversity hotspots. Goal 17 “partnerships for the goals”. Finally, active engagement with the Goals and those seeking to fulfill them will be vital to any business seeking to make a difference. This will require a pro-active approach to monitoring and reporting on relevant economic, social, and governance indicators related to their activities and supply chains. Each of these goals presents wonderful opportunities for the tea industry to prove themselves leaders in ongoing global efforts to build a brighter and more sustainable future. I am honored to say that, along with two other exceptional women, I have been chosen to receive the 2018 WIA Demeter Award of Excellence. The award recognizes those who have achieved excellence in their field or demonstrated an extraordinary contribution to the agribusiness industry. “Nominated as a “visionary leader and facilitator of change… a leading international expert on agriculture and food policies, and a trusted, collaborative partner for our Canadian industry,” Robynne Anderson’s roots in ag go back to growing up on a seed farm in Manitoba. 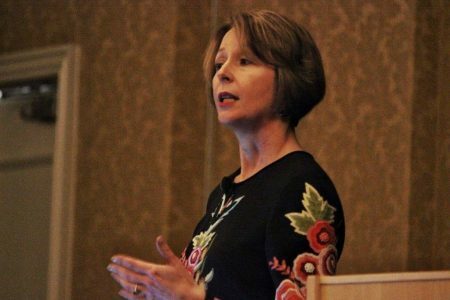 Anderson went on to found and lead two successful agribusinesses: Issues Ink, an agricultural publishing company, and Emerging Ag, an international consulting firm that provides communications services to ag, food and health clients. Learn more about the award and its recipients here. Read “Enhancing global livestock advocacy for sustainable development” on the ILRI news site.